Jihad Watch : This is a most welcome and much-needed initiative. 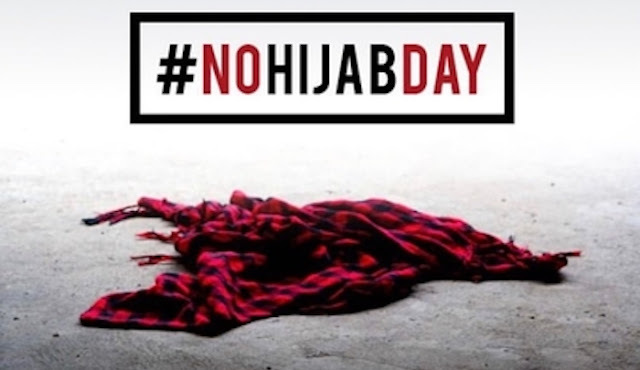 The women who indulge in virtue signalling every year by donning a hijab on World Hijab Day have never shown any concern for the victims of the enforced hijab. They have never indicated that they know of or care about the women who have been brutalized and even killed for not wearing the hijab. Muslim thugs threatened to murder if they didn’t wear hijab; or for the anonymous young Muslim woman who doffed her hijab outside her home and started living a double life in fear of her parents; or for the fifteen girls in Saudi Arabia who were killed when the religious police wouldn’t let them leave their burning school building because they had taken off their hijabs in their all-female environment; or for the girl in Italy whose mother shaved her head for not wearing hijab; or for all the other women and girls who have been killed or threatened, or who live in fear for daring not to wear the hijab?